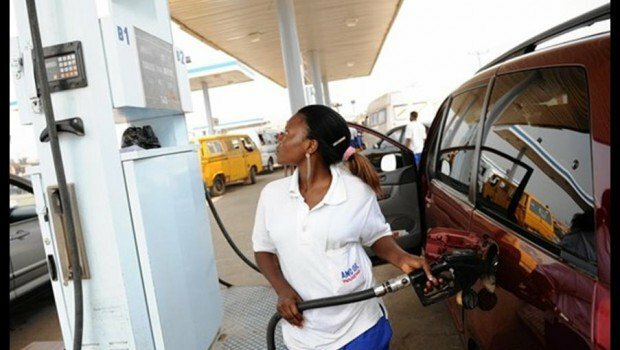 The Nigerian National Petroleum Corporation, NNPC, has said it can no longer sustain the sale of petrol at N145 per litre. Recall that Labour last month warned against increment in pump price. Speaking yesterday, Group General Manager, Crude Oil Marketing of the NNPC, Mele Kyari, said with the current price of foreign exchange, it was no longer feasible selling petrol at N145 per litre. The NNPC official told newsmen at this year’s Oil Trading and Logistics Expo, holding in Lagos that “We have a very difficult business environment. It is impossible today to import products at the current market price, at current fixed foreign exchange rate. “There is no way today you can take products to retailers and sell at N145. It is not possible. “If that is true and I believe that it is, because we all go to the market, why can’t we sell above N145? That is where legislation should come in. “I also know today that it is impossible for this government to announce tomorrow that petrol is about N150. “This government cannot sustain it. That is the truth. The people will not accept that figure. “That is why suppliers are not importing. Today, we are in subsidy regime, absolutely. “There is no way you bring product today and sell at N145 and get back your money and make profit. “That is not possible. You can see some marketers saying that fuel is N138. “It is because they did not import. Somebody has taken the heat off the price. “Because we (NNPC) have taken the heat and you buy from us, you can afford to go to the market and then put a ridiculous price.